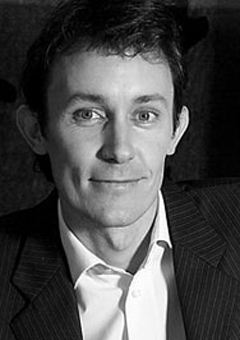 Barthélémy Courmont is Senior Research Fellow at IRIS. His fields of studies cover political and strategic issues in North-East Asia, China as a great power, the U.S. foreign policy, nuclear issues and new threats. He is also Assistant-professor at the History Department at Catholic University in Lille, and Associate-director, security and defense, at the Raoul-Dandurand Chair in strategic and diplomatic studies (UQAM, Montreal). From 2011-2014, he was Professor of Politics at Hallym University (Chuncheon, Korea), Invited-Professor at UQAM (Montreal, Canada) from 2009-2010, and responsible for an exhibition on Hiroshima and the atomic bomb at the Caen Memorial in 2005 (www.hiroshima-nagasaki.org). Prior to joining IRIS in 2000, he was from 1999-2000 Assistant-research fellow at the French Center on the US (CET) at IFRI. In parallel to his research activites at IRIS, he has also taught classes since 2001 at Science-po Lille, ESC Rouen, Paris 13 University and IRIS Sup’, and participated to numerous conferences and seminars on his fields, in France and abroad. Barthélémy Courmont holds a PhD in political science from Paris 7 University (2005), a DESS (Master) defense from Paris 2 University (2000), a Masters degree in international and diplomatic relations from the Institute of High International Studies (1999), and studiedd History until DEA (Master, 1999). He was also visiting student at Columbia University (New York, U.S.) from 1998-1999. He regularly publishes tourist books for the collection Petit futé, and travel books.